The client undertook a major refurbishment of their villa located within the Green Community development. As part of the works, the interiors were stripped back, walls removed and relocated, new bathrooms added and the electrical wiring was completely replaced. The gardens to the villa were also transformed as part of the works. 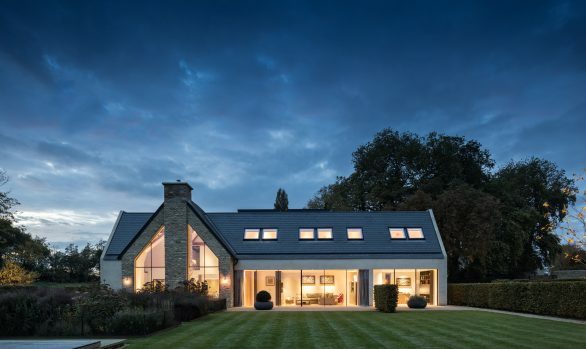 dpa were invited to carry out both the interior and exterior lighting redesign, working closely with the client, interior designer and the audio visual/controls provider to ensure that the completed lighting met all the requirements of the family and to help create their new home. The client has a substantial art collection of paintings and sculptures and the lighting had to cater for this as an integral and discrete component of the new lighting installation.